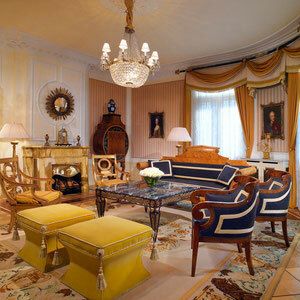 European Finest Hotels, the first and unique selection of the best hotels in Europe. 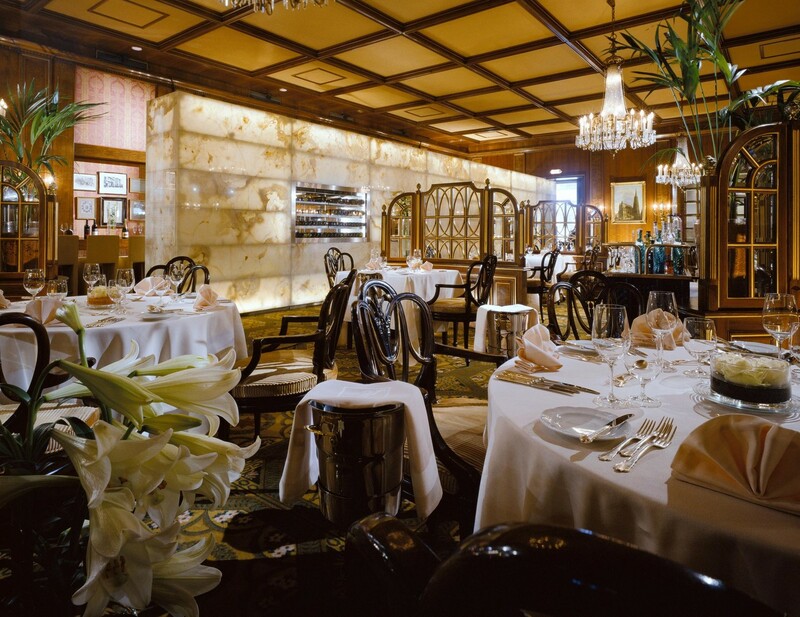 A symphony of charming grace since 1892. 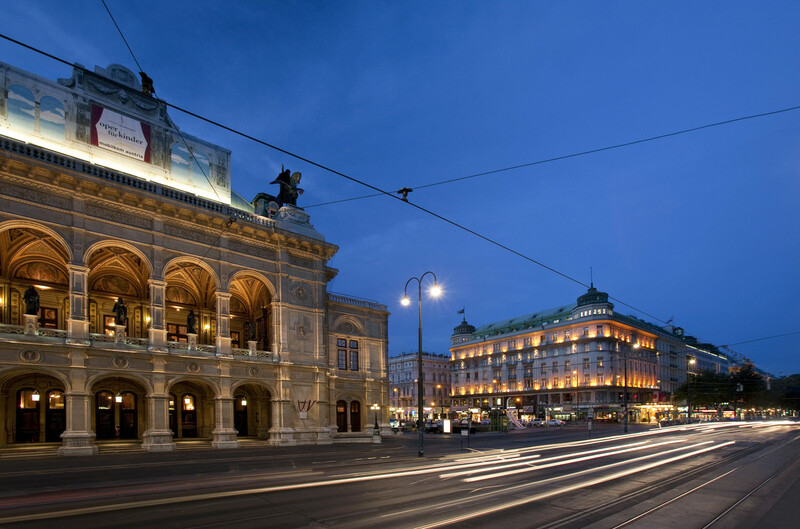 The Hotel Bristol at the Vienna State Opera has, since its first hour, been the hub of Vienna’s rich cultural and business life. 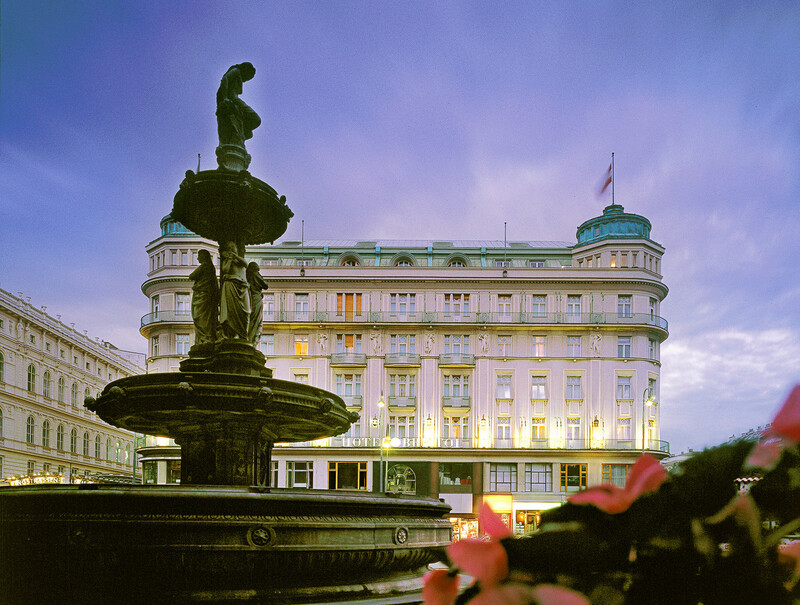 Home to the famous ‘Sirk’ corner, the Hotel Bristol marks the very crossroads where the world’s cultural explorers have converged for over a century. 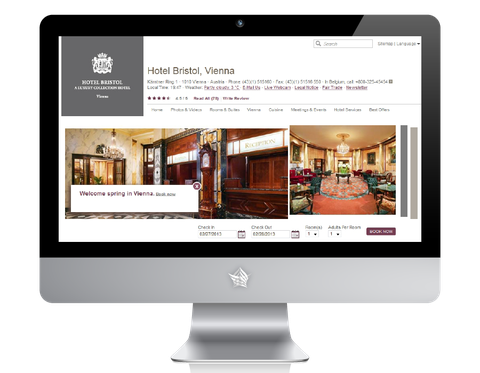 The Hotel Bristol and its (proud), long standing team are a living example of indigenous Viennese charm with a very personal attention to genuine and individual service – warm through and through. 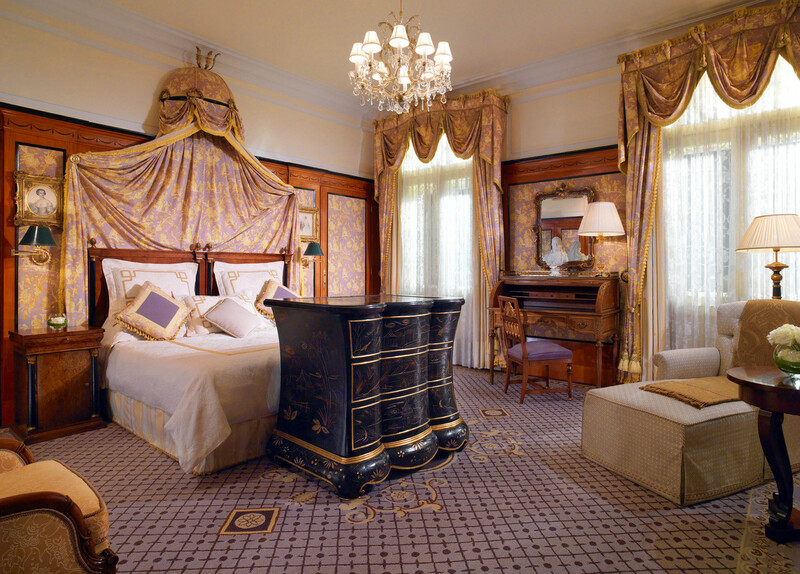 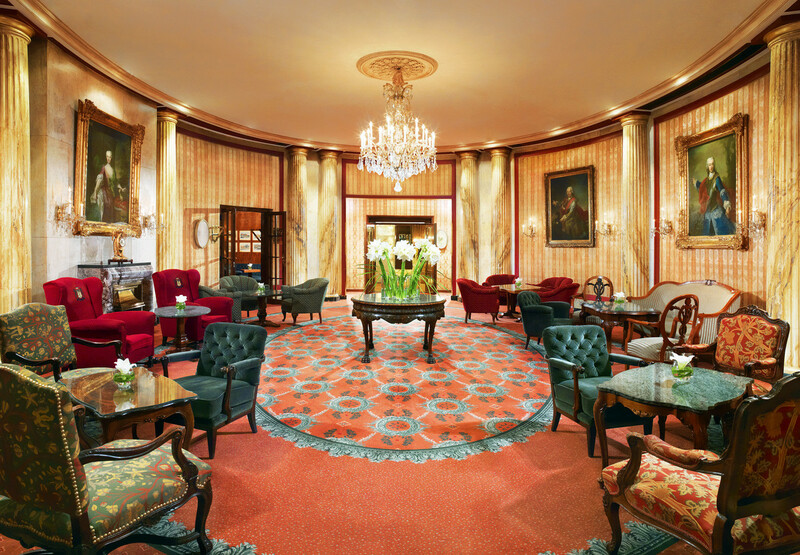 The hotel blends historical ambiance with authentic Austrian hospitality and is the most Viennese luxury hotel in the city. 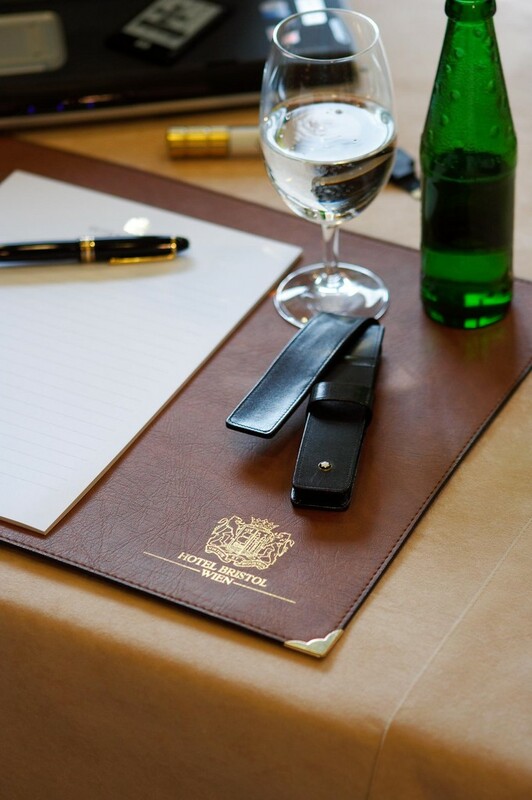 Whilst being inclusive and embracing, the Bristol still conveys a subtle Club atmosphere, where discreet conversations and time honoured social rituals signal that you are right at the pulse of the city. 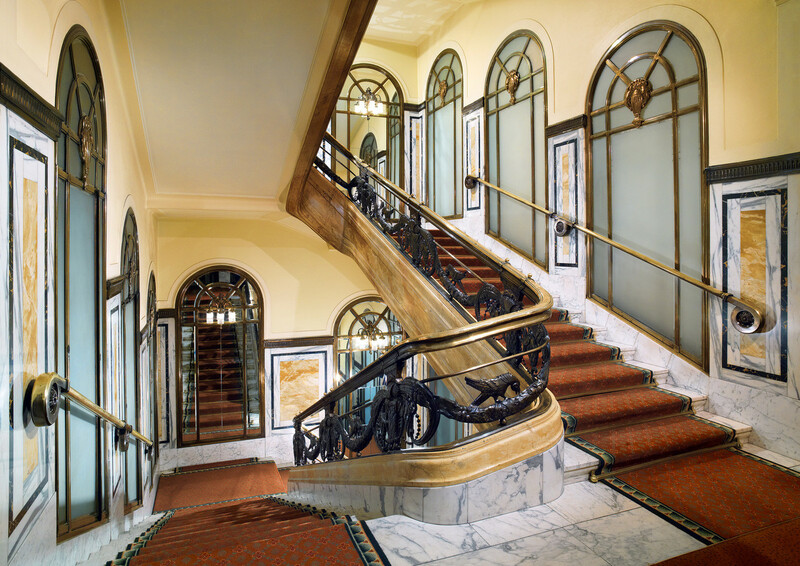 The Bristol’s exceptional design is true to the hotel’s Art déco era yet refined for the needs of today’s global explorers. 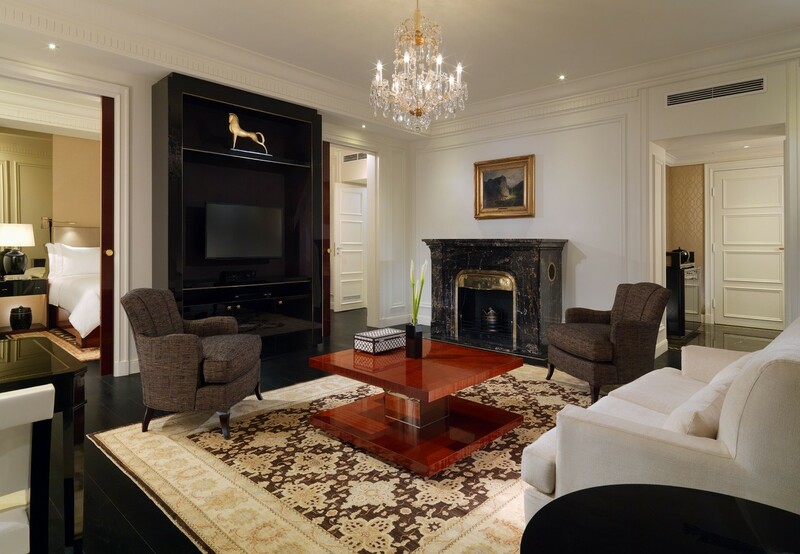 The many fireplaces throughout the hotel underline a homely feeling whilst precious antiques blend harmoniously with discreet modern comfort. 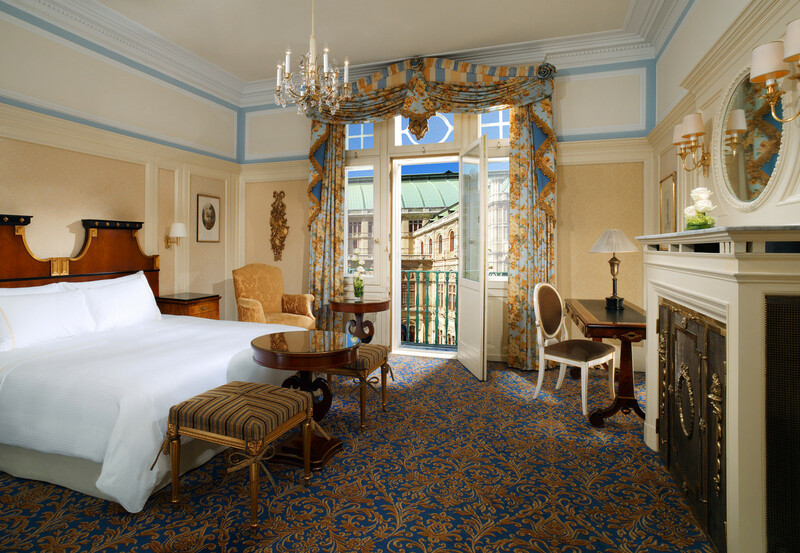 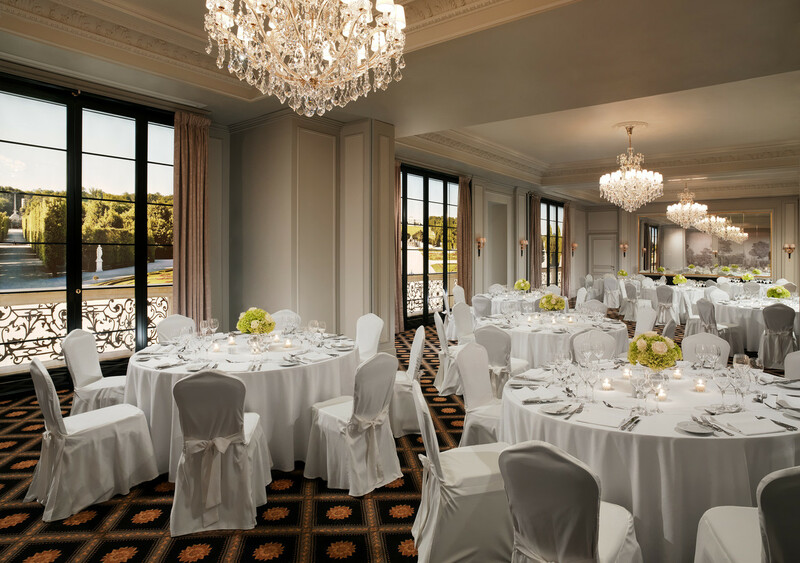 The fine selection of opera facing suites is crowned by the Bristol’s Towers hosting magnificent circular bedrooms with a unique panorama over this most majestic and enchanting of cities. 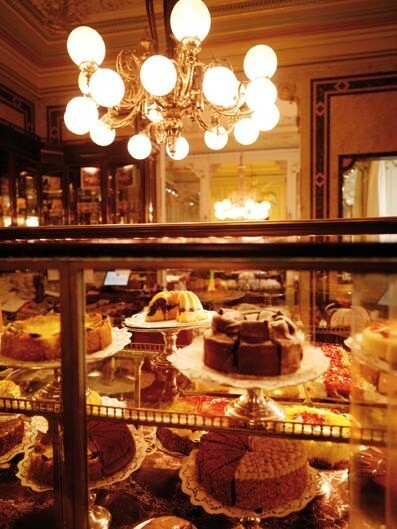 The stuff legends are made of. 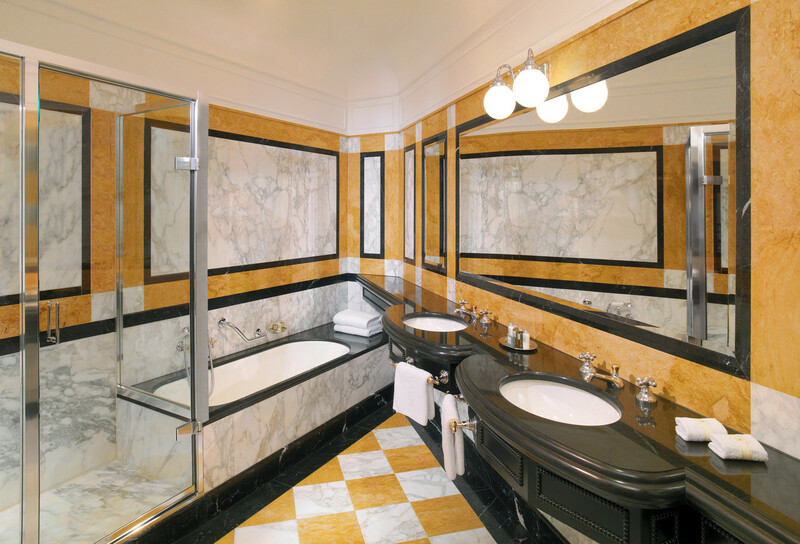 Over noble Calacatta and Nero Maquinia marble guests enter one of the largest suites of the country. 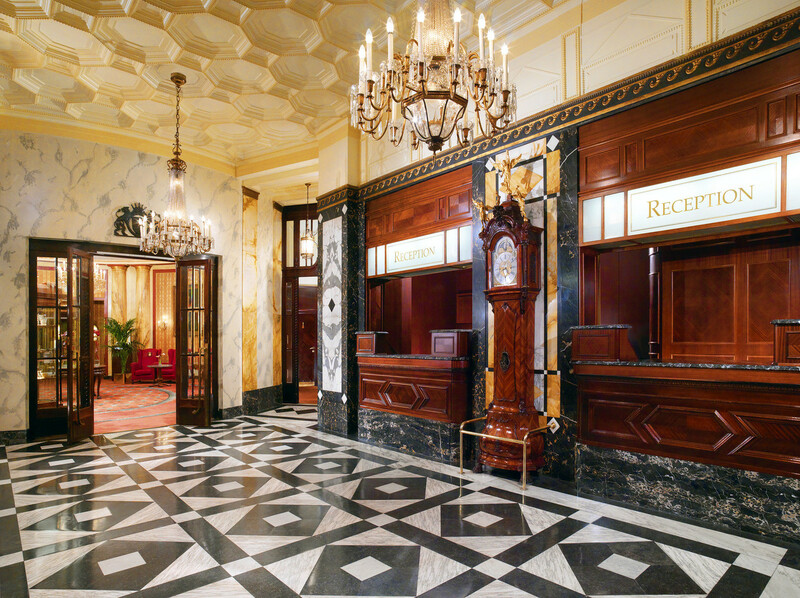 The entrance is still embellished with the golden ostrich feathers from the emblem of Prince Edward VIII who once also resided here with his great love Wallis Simpson. 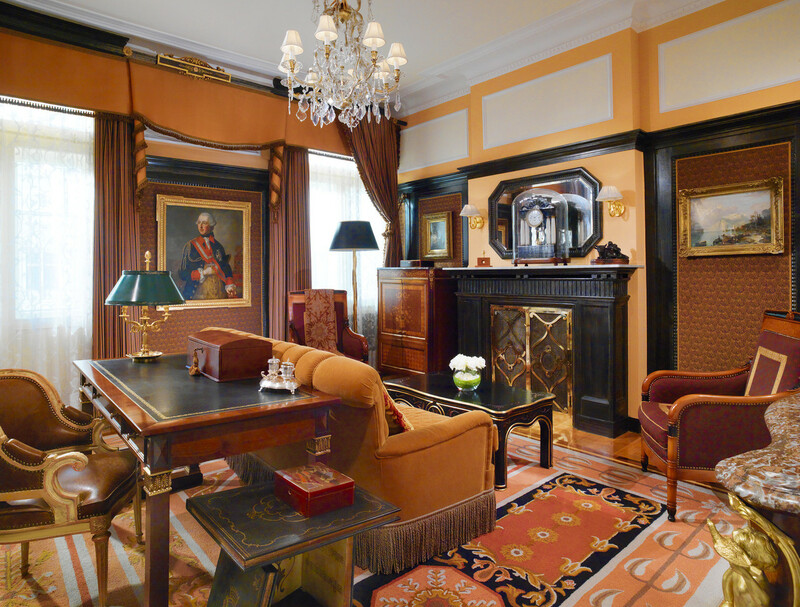 The library with large dining table whets the appetite for literary matters, while the noble office captivates guests with antiques and unique pieces just as the large salon. 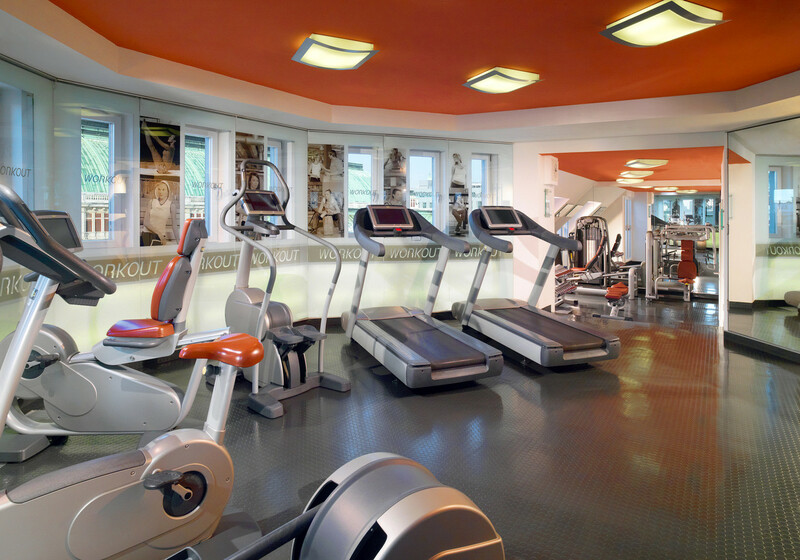 A private fitness studio with sauna and the luxurious bathroom round off guests' wellbeing. 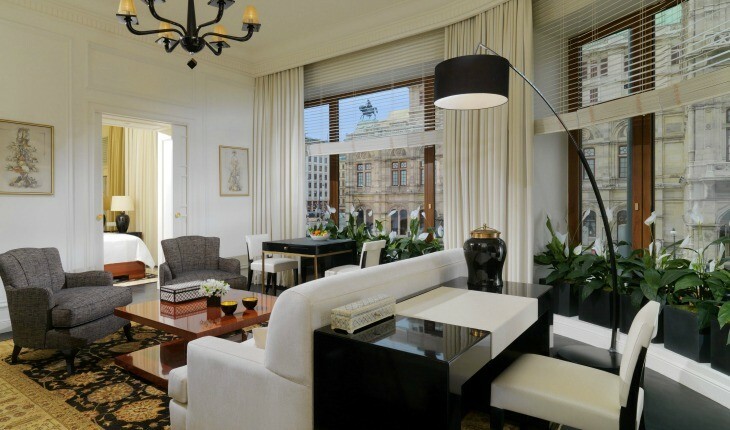 Two separate entrances turn the Prince of Wales Suite into a comfortable city apartment, which may be extended from 265 square meters (2,852 square feet) to 350 square meters (3,767 square feet) with three bedrooms. 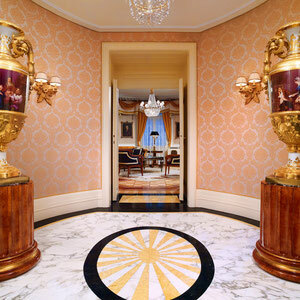 Friends are always welcome here. 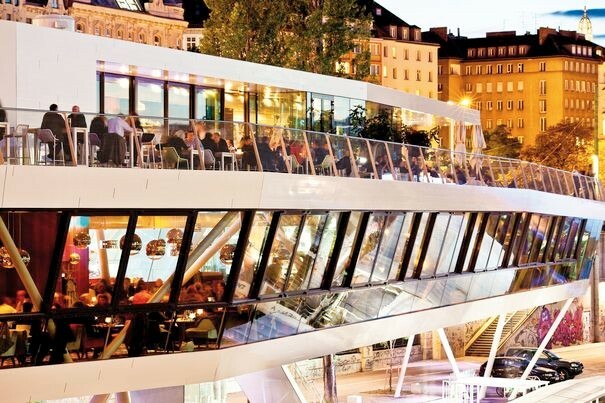 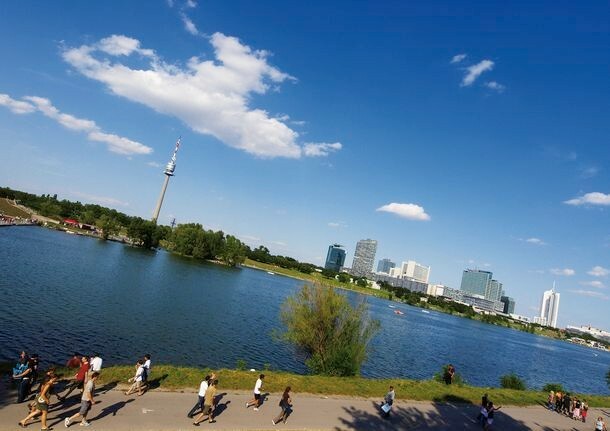 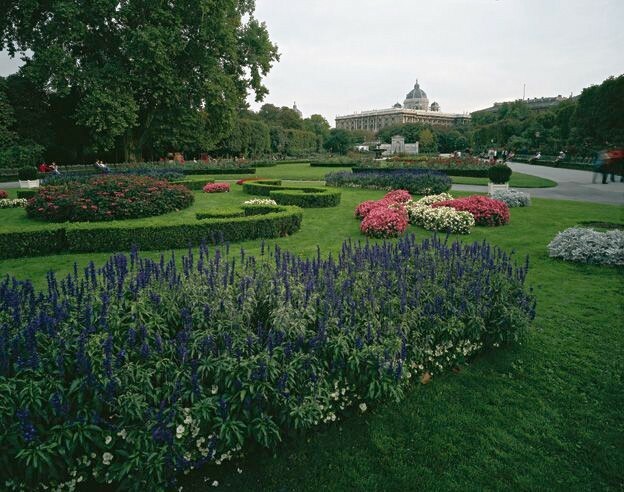 Sightseeing in Vienna that will really enchant you. 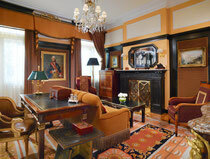 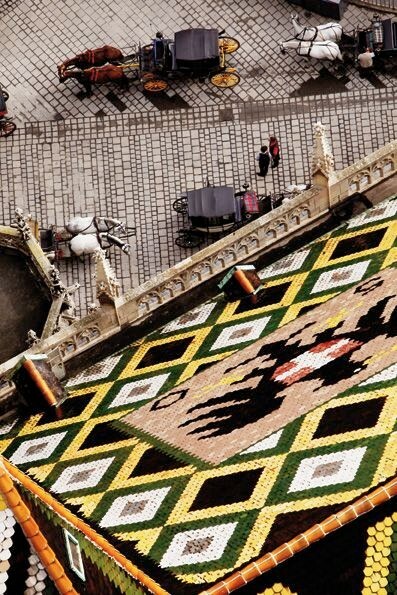 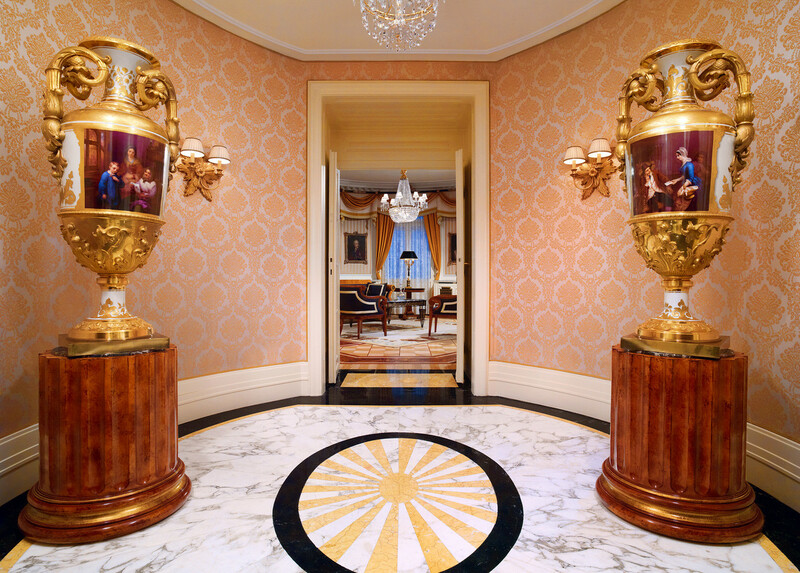 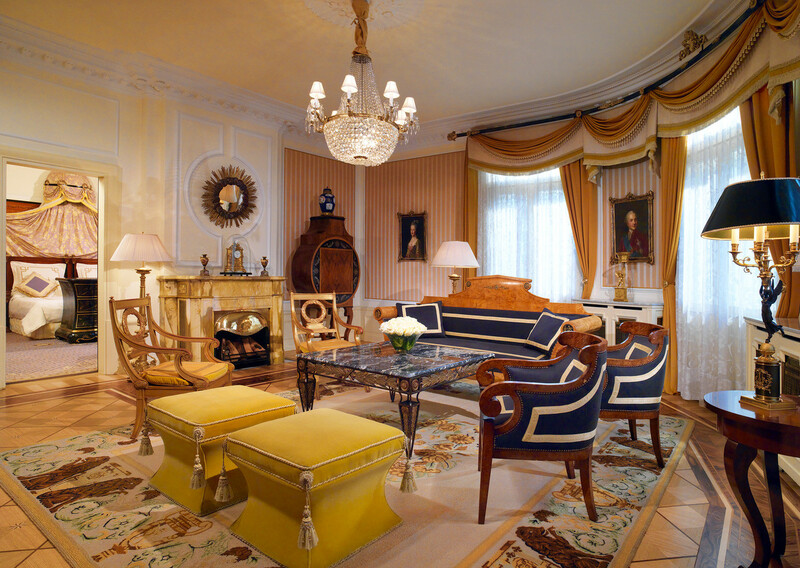 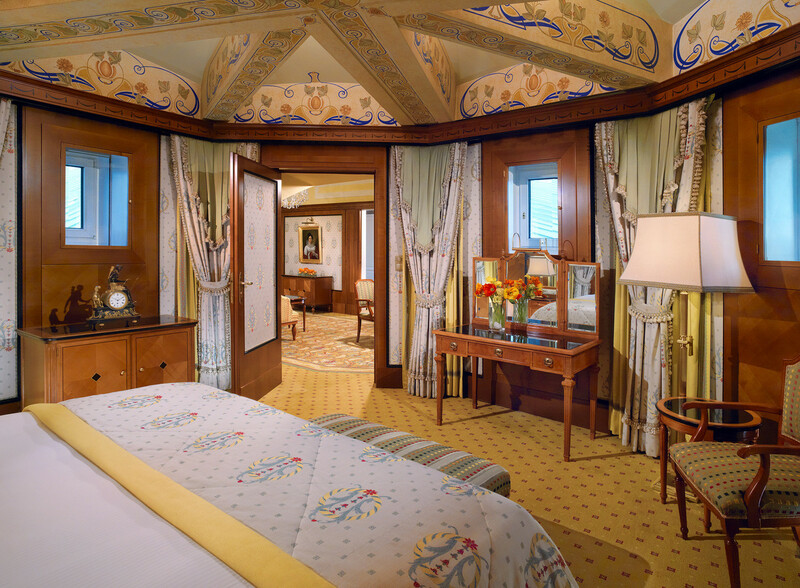 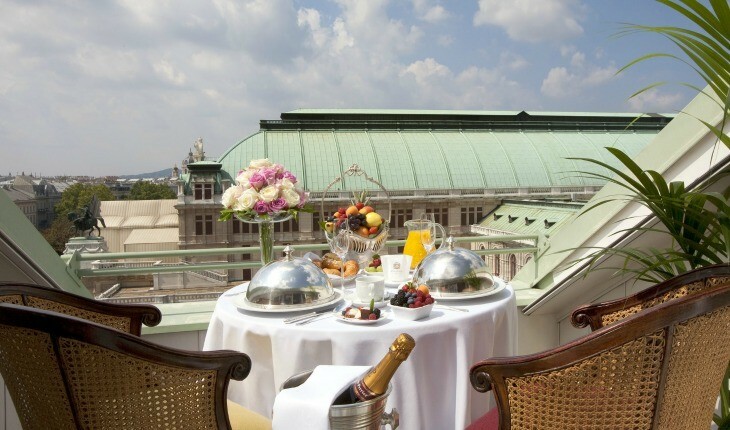 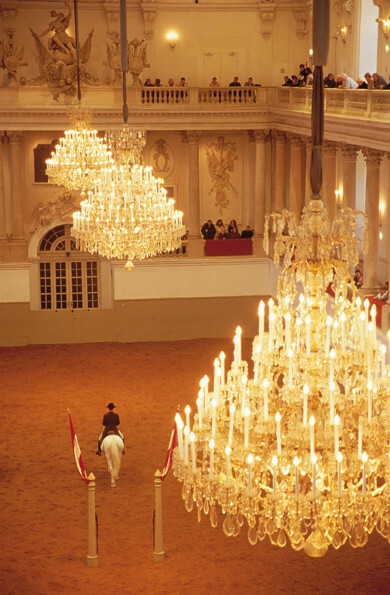 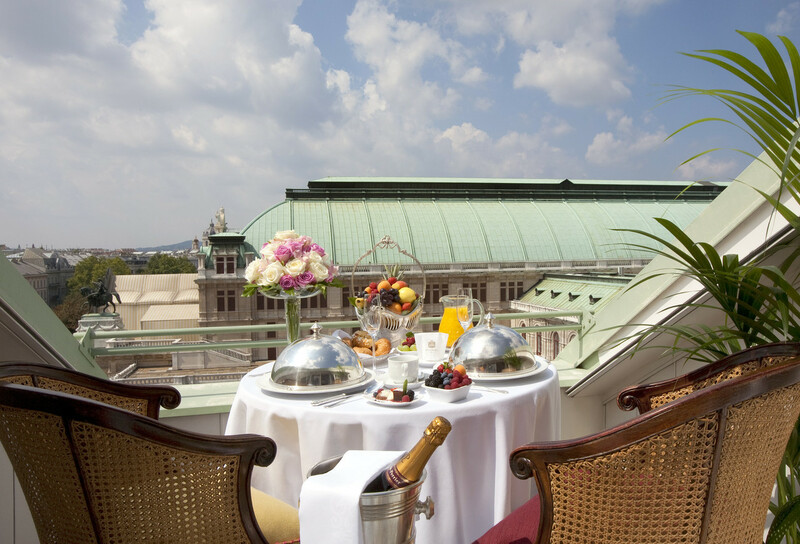 Experience a wealth of sightseeing in Vienna and an authentic stay at Hotel Bristol. 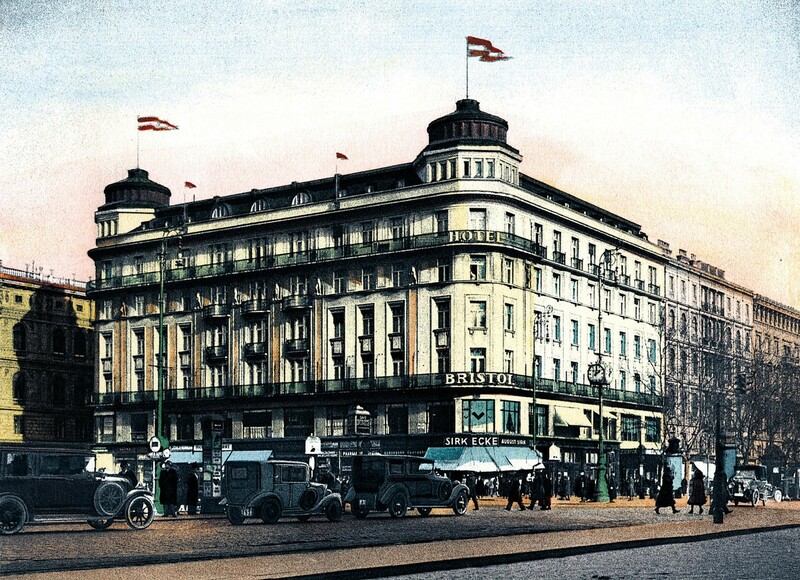 The unique location in the center of Vienna, opposite the Vienna State Opera house and on the corner of Kaerntnerstrasse in Vienna, makes the Hotel Bristol the perfect starting point for your tour of discovery. 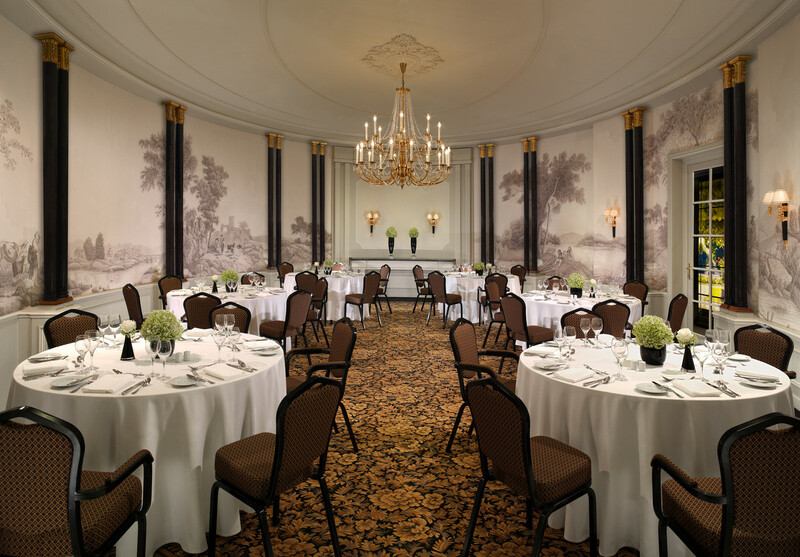 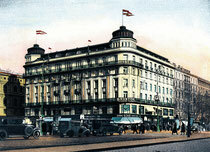 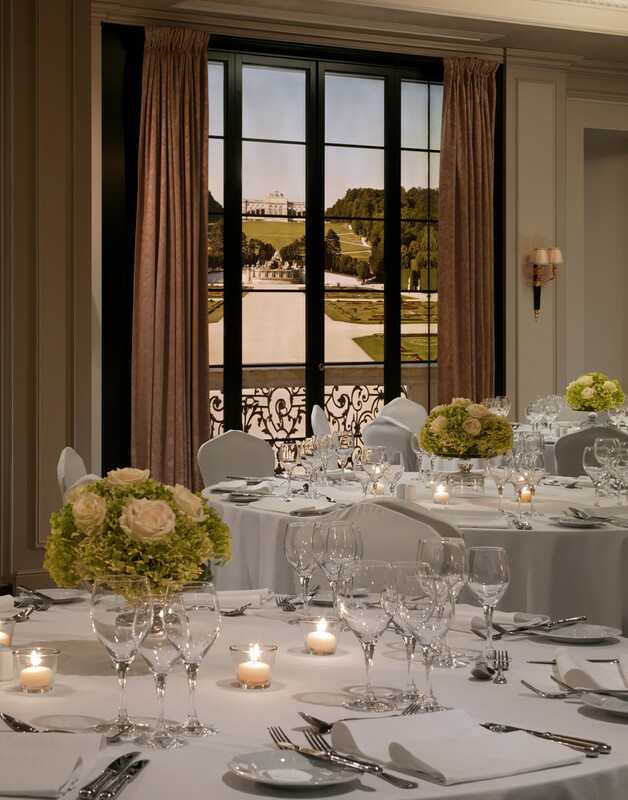 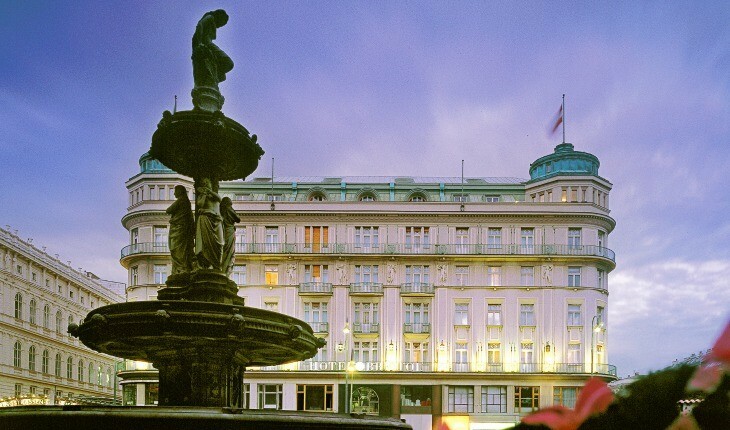 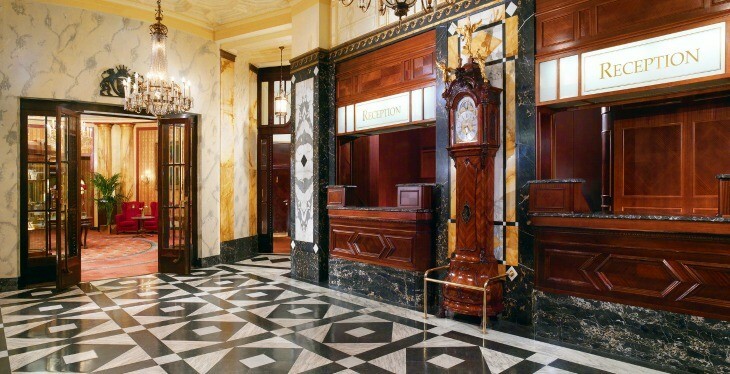 Vienna is a truly diverse city – full of culture and history – just like the Hotel Bristol which is steeped in tradition. 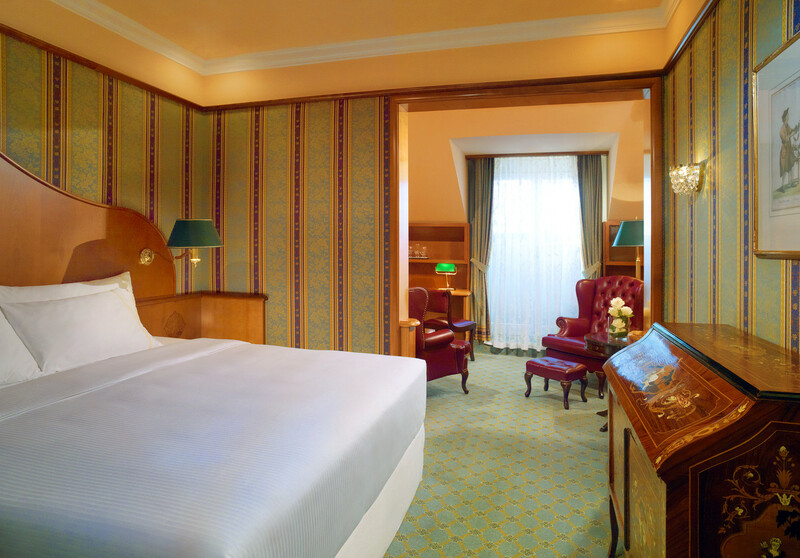 Our Luxury Collection Concierge possesses a wide-ranging knowledge of the city’s secret treasures and will happily share them with you. 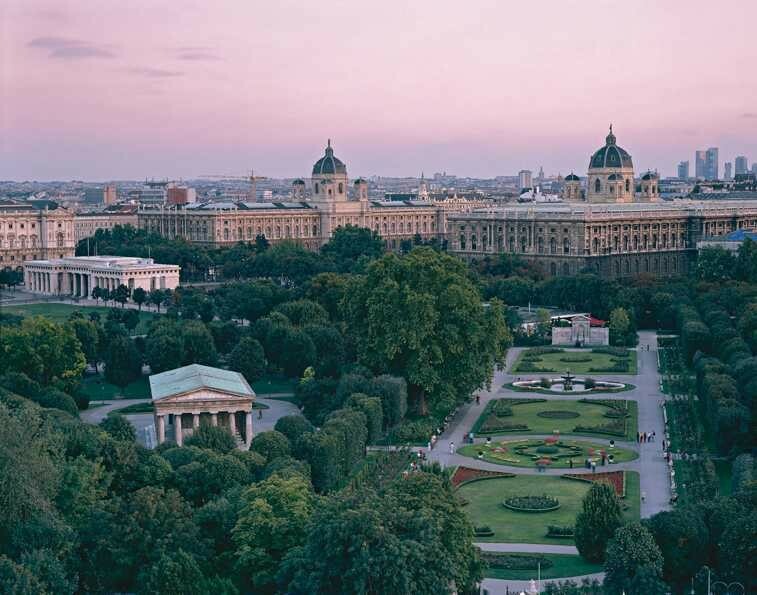 Just have a word with him and start planning your city trip to Vienna! 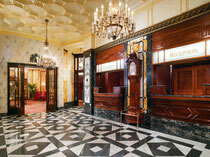 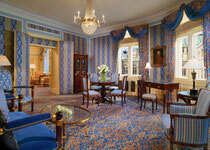 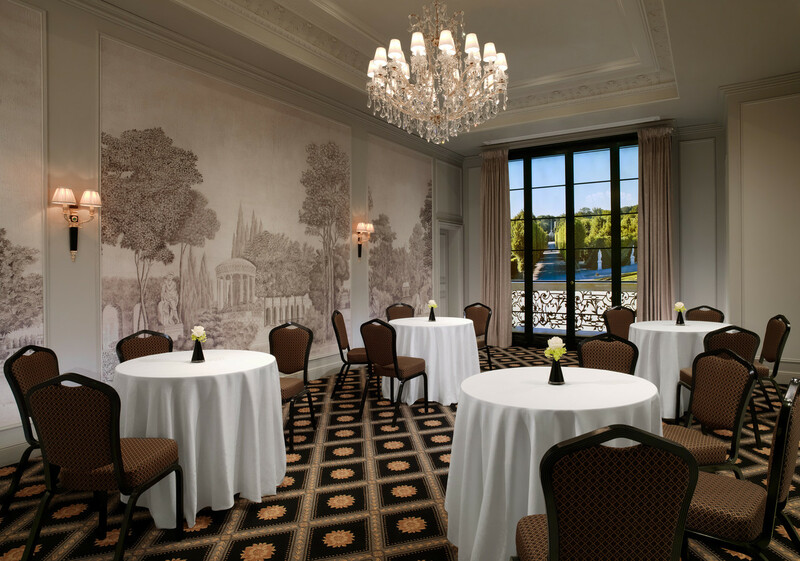 European Finest Hotels is a selection of the best hotels in the best destinations in Europe. 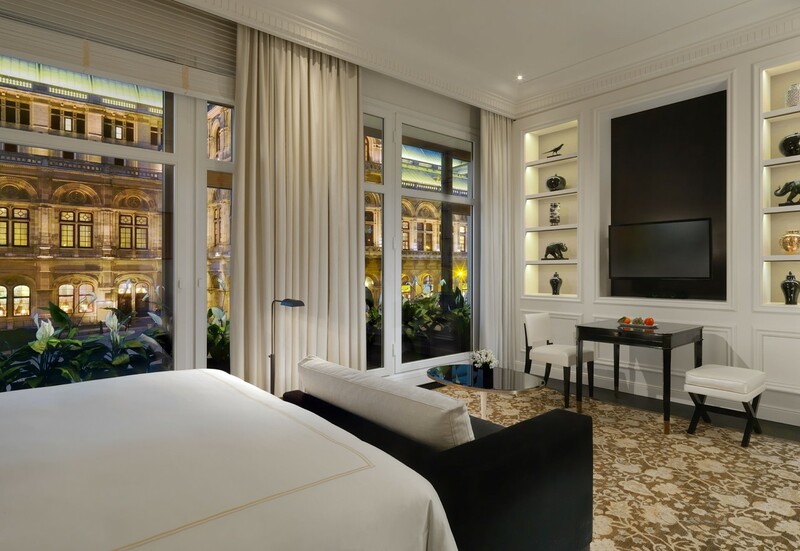 Whether you are planning to travel to Spain for a trip to the beach or to London for a business trip or a city break, or if you are looking for a new travel destination, European Finest Hotels has produced the first and unique selection of the best hotels in Europe. 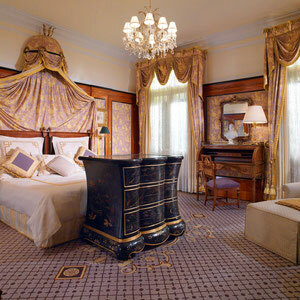 Looking for a hotel in Paris, a hotel with a pool, a star rated hotel, one of the best hotels in the world? 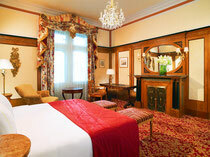 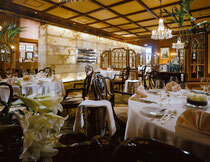 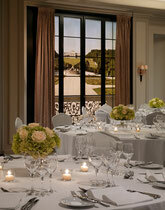 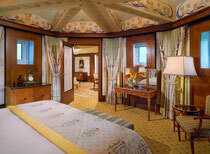 European Finest Hotels presents a collection of hotels awarded for the quality of their offerings and services. 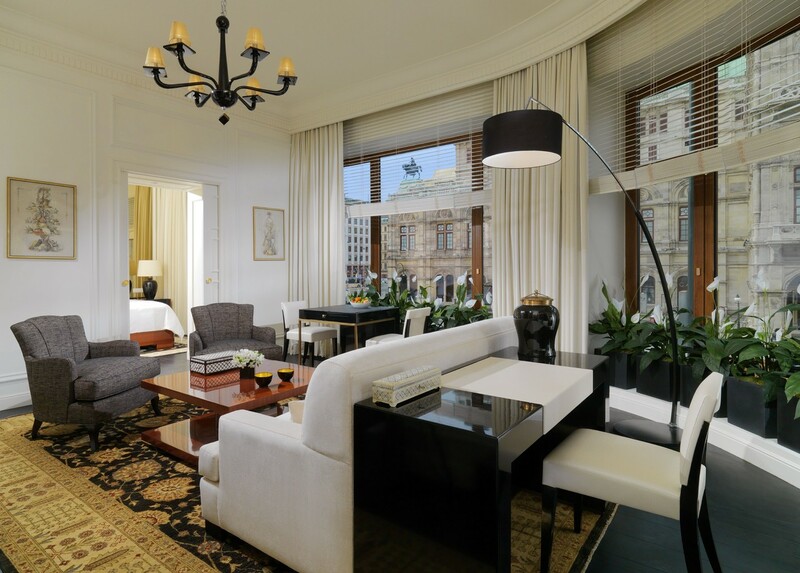 Discover the finest hotel suites in Europe, photos and videos of exceptional hotels, and get ready for an unforgettable journey, a wonderful stay in these high quality hotels. European Finest Hotels is an independent ranking of the best hotels in Europe. 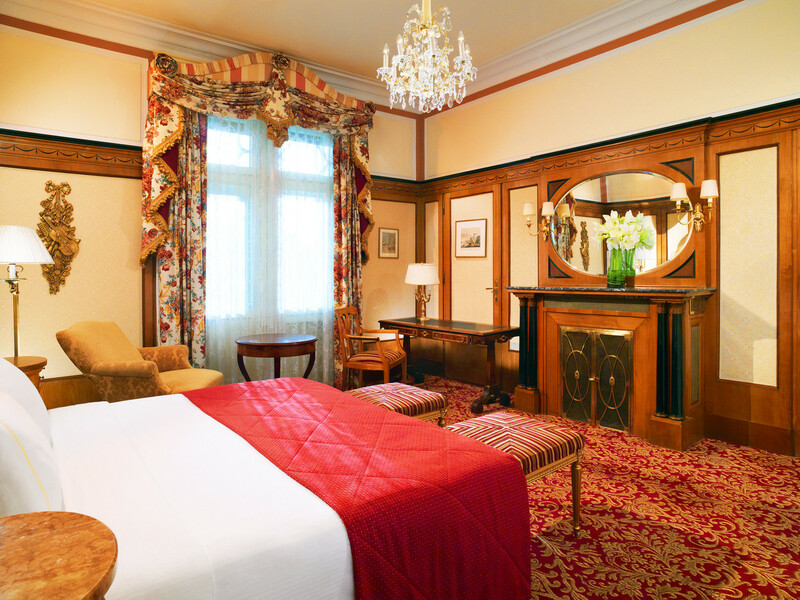 This selection is based on visits, travellers’ reviews and more than 80 criteria of excellence (pools, restaurants, spas, health spas, views, environment, air conditioning, smart TV, room service, laundry, accessibility for persons with reduced mobility ...) to ensure that only the very best establishments in Europe are presented. 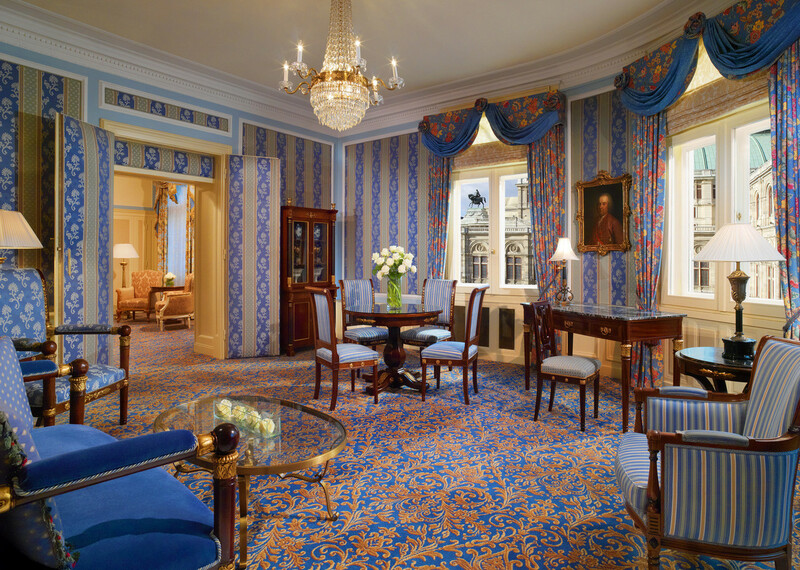 Exceptional Hotels for an unforgettable stay.